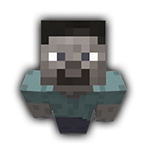 Captain_Marko - Viewing Profile: Profile Feed - SixtyGig - The Minecraft server for mature gamers. I must build a hub house! I could not agree any more if I tried! Sounds pretty normal, it is winter over here. A movie that was recently released by Disney named Big Hero 6, there's a robot in it that when he fistbumps he makes a 'tralalala' noise. It is amusing. Busy for a few days, see you soon! I hope so! But ....You know ..This is troubling Marko..I don't remeber reading anything in the SG Faq about this. Same for me! I'm sure there's going to be a lot of that all around. I'm a Ham in more way's than one. For instance, why did I apostrophe ways? Why? Just change it, it's free! Everywhere is hackable.